Talent is a sweet commodity. It is an essential ingredient in the stew that brews a good writer. But by itself it is like a rough diamond—a shapeless, milky chunk of inert, uninspiring rock. A rough diamond requires time-consuming, arduous cutting and polishing before it can capture, focus, and emit light. So does good writing. The question, then, is how best to shape a raw talent for writing into the ability to grab a reader by the throat with the first sentence and never let him/her loose until he/she is ready to drop back into the chair, moved, excited, and edified by the tale you’ve spun. May I suggest the best answer I have ever discovered—the short mystery story. Consider this. Thirty-some years ago, I took my first step into the world of mystery-fiction writing. It was an assignment in a creative writing course that I took practically by accident. I veered from the assignment a bit by opting to write a short murder mystery using a blind criminology professor as the detective. At the teacher’s suggestion, I sent it to Mike Shayne’s Mystery Magazine. They bought it. I was stunned, shocked, and hooked. The fact is, it was a fluke. I knew nothing about the technique of mystery-fiction writing. In fact, the magazine died a short time later. If there was a connection, I don’t want to know it. Conclusive proof of my writing infancy was the fact that for the next six years I continued to throw short-story manuscripts over every transom of every magazine in the country. I collected enough rejection slips to paper our second floor. But . . . with every rejection slip, and the self-analysis that followed, I learned a new facet of the real art and technique of mystery-fiction writing. She bought the next one, and Ellery Queen went on to publish the twenty short stories that followed, many under the capable editing of her successor, Janet Hutchings. And the writing of every one of those stories taught me something new. By the time I was ready to climb Mount Everest and write my first novel, Neon Dragon, whatever it may have had to recommend it was not an accident. That leaves us with two questions: Why use the short story as basic training rather than following the strong temptation to jump right into a novel? And what exactly is it that writing short stories can teach anyway? Stephen King once shared his observation that the average time between a beginning writer’s typing Chapter One of a first novel and the date of publication is—brace yourself—ten years. That confirms that it is a learned discipline and not an intuitive gift. On average, it takes me two years to write and polish a novel. A short story takes me roughly three weeks (I teach law full time as well). So do the math. In the time it would take me to write a first full trial-balloon novel, which could easily be taking me down an unpublishable path, I could write roughly thirty-four and a half short stories. That means I would get thirty-four doses of feedback from short stories over the two-year period. Even form rejection slips at least tell me that I’m doing something wrong, and I can get back on the horse and try again. And best of all, whatever feedback I do get is from professional editors, as opposed to the advice of equally neophyte members of my writing club, or my wife (who has always loved every word that dripped from my pen—thank God for her bias). As to the particular disciplines taught by writing short stories, beyond the general training in telling a gripping story, I am most grateful for two. First, brevity. It cannot be ingrained too deeply in the writer’s psyche. My second most favorite benefit from short-story writing is more particularized. When I reached the point of crossing from short stories to my first novel, I started by conjuring the two main characters I intended to use in a legal thriller/mystery series. One was a young criminal defense trial attorney who would tell the story in the first person—Michael Knight. The second was a tough, craggy old lion of the criminal defense bar—Lex Devlin—with whom I would pair Michael ultimately in partnership. The problem was that I did not know either of them so intimately that I could hear their voices in every situation into which I thrust them. To the rescue—the short-story format. I wrote three short stories, each of which was published by Ellery Queen’s Mystery Magazine, test marketing and “breezing,” to use a horse-racing term, the two characters. By the time I brought the third short story to a conclusion, the characters were so deeply ingrained in my conscious and sub-conscious mind that they had a life of their own. And I could hear their voices clearly. 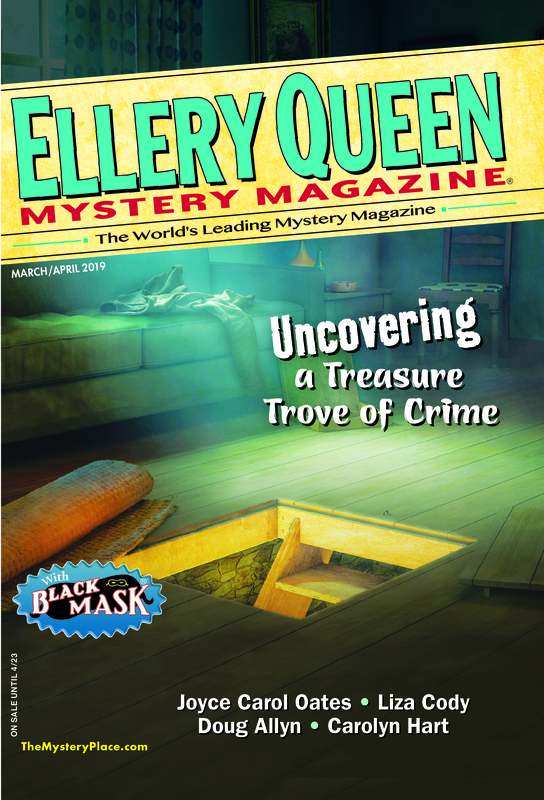 For all of the above reasons and more, I thank God that magazines like Ellery Queen’s Mystery Magazine still give new writers a training camp, and old writers a chance to re-hone the most basic skills. This entry was posted in Books, Characters, Editing, Fiction, Guest, Magazine, Novels, Publishing, Writers and tagged editing, literature, publishing, short stories, short story, writers, writing, writing_technique. Bookmark the permalink. Mr. Dobbyn: Thank you for your encouraging words. Along with the great advice. Short stories are my favorite. I will continue writing them, looking even for a “you’re getting close,” response. I assume you get my drift. Yours truly, Toe.